I feel a new roll call is in order. Who is here and where are you located? This way we can find a central meeting point for all of us and, potentially, the chapter as a whole. I'm (obviously) here, and I'm in Gwinnett county and a member. Slugg has a few people in his area who are members, or are willing to be members. 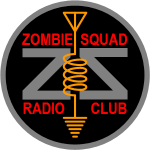 I've sent private messages to a handful of individuals from GA on the main forum, and I'm going to private message some old ZSC:016 members this afternoon, so hopefully we'll add a few more to our ranks shortly. If not, we already have enough members to get this chapter rolling. Glad to have you, interrogate. I would like to participate as well, but I don't have bandwidth to hold an office. I'm not able to be active with ZSC:025 much at all. I'm in DeKalb, just outside of Clarkston. I'm here as well. Been out of the loop for a while due to work and family obligations. Looking forward to getting back involved. Tenderfoot wrote: I'm here as well. Been out of the loop for a while due to work and family obligations. Looking forward to getting back involved. Glad to hear you are around. You're about an hour drive north of me if you are still in Flowery Branch. We would definatley be glad to see you at the upcoming charity events and meetings. Davo wrote: I would like to participate as well, but I don't have bandwidth to hold an office. I'm not able to be active with ZSC:025 much at all. I work only about 20 minutes from you. So how do split up your time like that. You work in Dekalb, but live in WNC? Well, I was living in WNC on weekends, working 40 hours between noon Monday and noon Friday in Doraville. My wife was spending every other week up there. I couldn't find a job up there, and then I got laid off here, and stopped making the trip for a while. Now I work in Norcross, and we only make it up 5-6 times a year for a 4-5 day weekend. But 320 miles is a bit far to the bugout location if we have to walk; my place up there is north of Boone. I updated my location, that should make more sense. So, for the record, I have my HAM license but don't really use it, am (or was) CERTified, and shoot a few times a year. At one time I was a 96B2P in the Army, and later a HAZMAT and CPR instructor at DeKalb Medical Center. Good to have you guys! You're both in the same general area as most of the rest of us. Less than an hour from almost everyone we have on board right now. We're currently trying to schedule our first volunteer event, our reinstatement event. Let us know if you can make it out! We're also looking for as many opinions as we can get while we're re-starting the chapter. So let us know what you want to do and see and we'll do our best to make it happen. Yay, this thread is now a sticky! Interests: I'm a ham radio operator, interested in emergency power, and teaching others about radio technology. Note: emergency power encompasses several fields of study, from battery chemistry, to generators, to solar panels, and wind turbines to name a few. Going more in depth, this involves Lead Acid, Alkaline, Zinc-Air, Nickel Cadmium, Nickel Metal-Hydride, Lithium-Ion, Lithium-Iron-Phosphate, etc., small engine repair, types of fuel, fuel storage, fuel stabilizers, electrical grounding, multi-phase wiring, load limits, charge controllers, Ohm's Law, structural engineering in regards to tower stability, and on and on. Feel free to ask me about any of these. Just joined! My husband and I saw you guys at the prepper expo today and we have been wanting to meet other preppers in the area so this sounds great. We are in Walton county. Alylee wrote: Just joined! My husband and I saw you guys at the prepper expo today and we have been wanting to meet other preppers in the area so this sounds great. We are in Walton county. Welcome! You can learn more about us and get a feel for what we're about by viewing this ZSC:016 subforum, and we'd love to see you both at our next meeting in September. If you have any questions, feel free to ask myself or just post it on the forum and someone'll get back to you as quickly as we can. If I may ask, what areas of prepping are you most interested in and/or want to learn more about? If it's not something that a member has already mentioned in the past, I'll add it to our list of future activities and class ideas. I have been browsing the forum a little bit tonight- is there a meeting date for September? I think the biggest reason I started prepping was to prepare for natural disasters, the snow storm two years ago got me thinking about living without electricity, water, etc. I want to learn about gardening because I have no idea where to even start with that lol! I like all realms of prepping though and find it all interesting. I'm a public school teacher, so I feel like organization is my biggest strength when it comes to prepping because organization is such a big part of my job. I will make a separate post about our September meeting once I discuss a potential scheduling error with our officers, but we are currently looking at September 19th for our next meeting. I completely understand where you approach prepping from. I wasn't in Georgia during the snow storm two years ago, I was in North Dakota, where the threats of snow were always a potential problem. So I had similar concerns. A lot of us have at least some interest in gardening, with varying levels of experience with it. That is one skill I don't think we'd have any trouble scheduling a few classes around and getting some hands on experience somewhere. Welcome Alylee! I am glad you found interests in some of the stuff we are doing. Early next year my wife and her mother tend to do a lot of both vegetable and flower gardening so that is down the road for us. We are also going to work on something with O.D Green to can the harvest of next year that might interest you. I'm DeKalb CERT and Fire Rescue Reserve; I was at the preparedness fair last weekend and learned of you guys while I was there. I've been lurking for a week and joined the forums today. I'm looking for another outlet for my insanity and this seems like a pretty good place; plus I like the fact that you're active within the community. I haven't joined ZS yet but I most likely will in the very near future. I'm pretty sure my Fire Rescue VOD partner wants to join as well so we'll probably be at the next meeting. So what does it take to officially join this chapter? Just post here, show up to a meeting, defeat someone in hand-to-hand combat, or...? We got rid of the hand-to-hand combat initiation a while back, I'm afraid. Post here, introduce yourself, contribute a bit and show up to a meeting when you can. We don't have membership fees or anything like that currently. You can be as active as you want to be. Obviously, we'd love it if you could show up to the meetings and give us your input and volunteer at/attend events and such, but it's all up to you. (but if you're not doing any of those things, I don't know what you're getting out of your "membership", haha).